2. What is Activated Charcoal and How Does It Help? Perhaps you might have seen something like charcoal in the skincare section at supermarket or health food shops. And you probably think that somebody has placed it in the wrong place. “It belongs to the section for barbeque lovers”, I used to think so. But you may be just as wrong about it as me. Charcoal, or more exactly activated charcoal, has been a sensation in the beauty industry in recent years. It has a lot of great benefits, especially when you want to improve your beauty. So, let’s figure out how to use activated charcoal for face! What is Activated Charcoal and How Does It Help? Activated charcoal refers to a type of black powder. It does not provide any odor or taste, if you try tasting it. Obviously, it comes from charcoal which people produce from coconut shells, peat or wood. The word “activated” means that people have used heat to activate the carbon. As a result, the charcoal becomes more porous . It is not something you use to grill food, even though it is quite like what you use for air filtration. In fact, activated charcoal has a wonderful absorbing ability. It is also the reason why people have made use of charcoal to eradicate many toxic substances in the body for ages. Provided that you use charcoal in the right way, you can benefit a lot from this simple ingredient. More importantly, activated charcoal does not contain any chemicals, so you do not have to worry about side effects. Get to know more about A COMPLETE BUYING GUIDE FOR THE BEST CHARCOAL MASK! In normal conditions, our body can constantly remove toxins by itself. The removal of toxins has direct effects on the condition of our skin or hair. In other words, it affects your beauty to some extent. However, you can actually improve this process, especially when you fall into one of these following categories. I usually have bad reactions after only a little wine. My skin becomes dehydrated and dull. Then I start worrying about pimples which will last for days. However, I found out that mixing activated charcoal with some water could improve my skin so much immediately. Problematic foods include oily, starchy or junk food. They are the main cause for many skin problems, such as rashes, acne or inflammation. These foods increase the amount of endotoxin – a kind of toxin that comes with fermentable carbohydrates. It results in hormone imbalance and destroys the liver health . We all know that hormone imbalance and skin problem have a close association . Even though you try your best to avoid all these foods, you might have to eat them some day. And do not worry! Activated charcoal becomes so useful in such cases. It works as efficiently as antibiotics to calm your skin and reduce further infections later. It might not be related to the issue how to use activated charcoal for face, but overall, charcoal is a good remedy for those who have flu or cold. When our body absorbs bowel toxins, the possibility is that it experiences the flu or cold soon. Inflammatory bacteria cause infection, headache and fever by damaging our immune system . By taking activated charcoal, you can prevent these symptoms at the beginning. Therefore, you will have a lower risk of flu . The truth is that you can consume activated charcoal for benefits on your digestive system. However, it has become more and more popular to use this ingredient for beauty reasons. Therefore, above all, it is common to see people apply it on their face. Here are some possible tips on how to use activated charcoal for face to help you look more attractive! A clean skin will be free of any problems. It is the ultimate goal that anyone concerned about their skin should know. 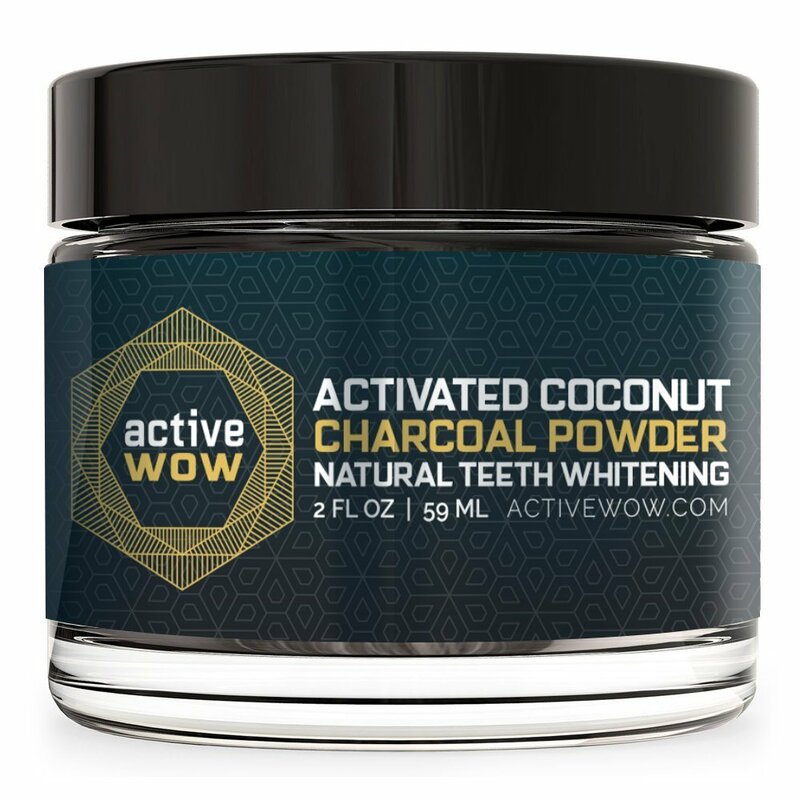 It is essential to note that there is no chemical in activated charcoal. Therefore, even people who have sensitive skin can rely on activated charcoal for skin care. You can choose many products of cleanser on the market which contain activated charcoal. Or you simply mix a little powder in your cleanser and then, use it several times per week. The charcoal allows you to remove more dirt and foreign substances on your face. It reduces significantly the possibility of skin problems. Besides, though activated charcoal is good, you had better not use it on a daily basis. Otherwise, healthy oils, as well as the moisture balance, on your face will go away too. On the other hand, activated charcoal might be too dry for people who have dry skin. Please make sure that you use toner and moisturizer after washing activated charcoal on the face carefully. Oily skin is one of the most common catalysts for skin issues and it needs special concern in any treatment. If you have been in tough time with oily skin for too long, you might be happy to know these tips on how to use activated charcoal for oily face. Activated charcoal provides carbon that contributes to the balance on your skin. It eliminates impurities as well as excess sebum on the skin. However, the suggestion is not to apply too much activated charcoal per week. Once or twice on a weekly basis is a reasonable frequency that you should follow. Or your skin might become too dry as a consequence. The simplest form is to mix some activated charcoal into your facial mask. Besides, you can make some types of face mask on your own. For better safety, you can apply it on a small skin area first to detect whether you are sensitive or not. Blackhead is among the most common and irritating skin problems that people around the world are struggling with. They seek for medical treatment and countless remedies, but end up with disappointment. If you are still wondering how to get rid of blackhead, why don’t you use activated charcoal for your face? Activated charcoal is super effective to eradicate any dirt that concentrates in your clogged pores. In addition, when you use this ingredient for long, you will see your pores reduce significantly in size. And blackhead will be less visible. This method also has positive impacts on your skin condition in the long term because activated charcoal makes your skins smoother. You do not need to suffer from skin problems to use activated charcoal. If you want to have a glower skin that attracts people’s attention, activated charcoal is also an ideal option. Its texture is ideal to serve as a great natural exfoliator. In addition to removing dead skin cells quickly, it also promotes the eradication of sebum and bacteria. Furthermore, with its antimicrobial qualities, charcoal is potential to reduce the risk of any skin infections. Do not let the paste contact with your eyes because it might cause irritations. You should also use moisturizers after that. Facial scrub with activated charcoal is a good way to start making your face skin glower and lighter over time. You had better use it just once or twice on a weekly basis. Besides, the paste proves to be effective even when you want to lighten some other skin areas, such as underarms. When it comes to how to use activated charcoal for face, most people are concerned about skin only. But effects of activated charcoal on your teeth are enormous as well. Its absorbing quality is great even for impurities inside your mouth, including bacteria that normally lead to infections. Therefore, next time when you are about to brush your teeth, try a little activated charcoal with your toothpaste. You will see great improvements quickly. Interestingly, activated charcoal is a good treatment for your hair as well. It works in the 2 main ways: removing toxins and adding volume. Just like the way it works for the skin, activated charcoal can help your hair free of dirt, toxins and oil. You need to know that excess oil on hair and scalp is responsible for problems, such as dandruff. On the market, you will find a series of shampoos that contain activated charcoal. They would help you maintain a good routine for hair care. But you should not overuse it either. On the other hand, activated charcoal does not leave any residue on your hair. Therefore, there is more volume and you might feel your lighter hair. Last but not least, activated charcoal also has positive impacts on the scalp. It is good that you use it for treating itchiness, redness or dandruff on your scalp. Its purifying and absorbing abilities make it so versatile. In general, activated charcoal is a versatile ingredient that can go beyond your griller. It is an important part in your skincare routine now. With these tips on how to use activated charcoal for face, I hope that you can become more confident about your beauty throughout time. Spread the information about activated charcoal by hitting LIKE and SHARE this article to anyone you know!